Philip David Charles "Phil" Collins, LVO (30 January 1951) is an English musician, singer-songwriter, multi-instrumentalist and actor best known both as a drummer and vocalist for English progressive rock group Genesis and as a solo artist. Although one of the world's best-selling music artists, Collins concedes his status as a figure of contempt for music critics and much of the public, having been dubbed "the most hated man in rock". Collins sang the lead vocals on several chart hits in the United Kingdom and the United States between 1976 and 2010, either as a solo artist or with Genesis. 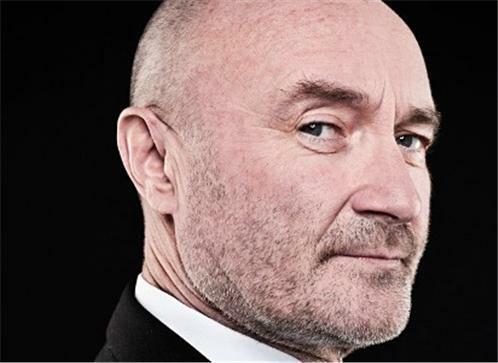 His singles, sometimes dealing with lost love, ranged from the drum-heavy "In the Air Tonight", dance pop of "Sussudio", piano-driven "Against All Odds", to the political statements of "Another Day in Paradise". Collins's professional music career began as a drummer, originally in a band called The Real Thing with Andrea Bertorelli, who later became his first wife. Collins played drums and shared lead vocals (with Brian Chatton) in Flaming Youth which recorded one album, (Ark II). In 1970, he took over drums for Genesis, which had already recorded two albums. In Genesis, Collins originally supplied backing vocals for front man Peter Gabriel, singing lead on only two songs: "For Absent Friends" from 1971's Nursery Cryme album and "More Fool Me" from Selling England by the Pound, which was released in 1973. Following Gabriel's departure in 1975, Collins became the group's lead singer. His solo career, heavily influenced by his personal life, brought both himself and Genesis commercial success. According to Atlantic Records, Collins's total worldwide sales as a solo artist, as of 2000, were 150 million. Collins has won numerous music awards throughout his career, including seven Grammy Awards, six Brit Awardswinning Best British Male three times, three American Music Awards, an Academy Award, two Golden Globe Awards and a Disney Legend Award in 2002 for his solo work. He was inducted to the Hollywood Walk of Fame in 1999, into the Songwriters Hall of Fame in 2003 and into the Rock and Roll Hall of Fame as a member of Genesis in 2010. Collins is one of only three recording artists (along with Paul McCartney and Michael Jackson) who have sold over 100 million albums worldwide both as solo artists and (separately) as principal members of a band. When his work with Genesis, his work with other artists, as well as his solo career is totalled, Collins had more top 40 hits on the Billboard Hot 100 chart during the 1980s than any other artist. In 2008, Collins was ranked the 22nd most successful artist on the "The Billboard Hot 100 Top All-Time Artists".